"The board believes that the lower frequency of higher value diamonds to date is potentially a function of the mining that has taken place since commissioning in the lower grade areas within the open pit, and which is now nearing completion. Over time, mining will progress into all areas of the open pit and the board expects the average value per carat to improve." In addition, results are being impacted by the "overall market environment, where a combination of oversupply and the Indian de-monetization program is still having an impact on the lower quality Run of Mine goods, as well as the fact that the summer months are traditionally the quietest time in the rough selling season". A total of 195,330 carats were sold including a stone for more than $1 million. The average price per carat was $69 with total sale proceeds of $13.5 million. Since commencement of production in Q4 of 2016, the company has sold all 505,706 carats recovered, for $41.3 million, at an average value of $82 per carat. The July and September diamond sales saw all 195,330 carats offered for sale sold for $13.5 million. "The board anticipates an improvement in the occurrence of higher quality diamonds as the higher grade kimberlite areas are mined and treated. Management continues to analyze the variability in average diamond values that it has experienced to date, which has seen the average values achieved range from $107/ct to $69/ct. 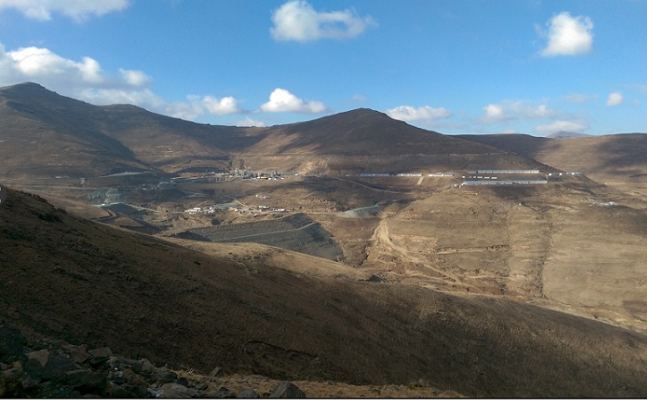 "In the board's view, this is not an uncommon situation in the early production stages of a new mine, and, in Liqhobong's case, the board believes that the company's true value proposition will become clearer as more representative volumes of all the ore faces are mined and treated. "Firestone continues to work with its consultants in regards to finalising a new mine plan based on a revision of the expected average LOM dollar per carat value which it anticipates will be higher than the average value realised at its two most recent sales of US$69/ct, albeit it expects the average value to be lower than the original figure of US$107/ct used in the Bankable Feasibility Study, which is due to current market conditions, as set out above. "Whilst, over the medium term, both market conditions and diamond values are expected to improve, the Board recognises that a revised mine plan needs to be developed in the context of the short-term pricing pressures currently being experienced, and with a view to achieving optimal value for shareholders in the longer term. "It should be noted therefore, that at current values, the Company would require additional financing and would need to restructure its existing debt obligations in order to be able to deliver such a revised mine plan. In this regard, the company has been in productive discussions with both its major shareholders and its debt provider ABSA Bank Limited, with a view to reaching a solution. Firestone will update the market further once those discussions are complete and the revised mine plan is agreed, which is expected to take place in Q4 CY2017.